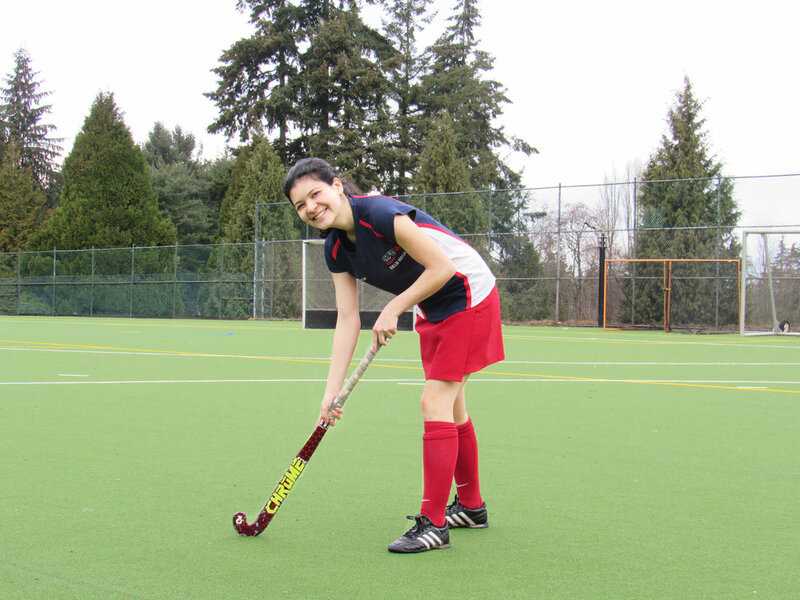 The SFU Women's Field Hockey Club plays in division 1 of the Vancouver Women's Field Hockey Association (VWFHA). SFU is a competitive, yet social, team that allows SFU field hockey players to represent their school, work towards their goals as athletes, and build lasting friendships with their peers. SFU has done well in its division, winning playoffs in 2014 and 2017 coming in second place in the Vancouver International Tournament 2016. Established in 1966, by Moira Colbourne, as a club team in the VWFHA, Simon Fraser University Field Hockey Club quickly moved up to Varsity status by 1970. For over 20 years SFU competed in tournaments against universities in neighboring west coast states, spanning all the way down to California based teams such as Berkley, Stanford and Davis. The success of this program led to the successful development of players such as Lisa Faust, who was not only on the Canadian Women’s National Team but would later coach SFU. In the mid 1990’s fundraising demands took their toll on the university and SFU Field Hockey spiralled back down to club status in the VWFHA.